It’s been a great week at Wedding Dolls HQ, we’ve had such great feedback about the new look website. The support has been unbelievable, so thank you to every one for your kind words and best wishes, we are very excited about working with so many talented Kent Wedding Suppliers over the coming months. If you are a Kent Wedding Supplier and would like to showcase your work right here on the blog please get in touch, you can email us at hello@theweddingdolls.co.uk or call 07872 160 911. Something we talked about this week is Anti Gravity Yoga. This fitness regime has been designed to increase your overall health and physical agility whilst having fun swinging about in an AntiGravity Hammock, it’s definitely for those brides out there wanting to try something a little bit different. Have you booked your class with Heavenly Fitness yet? We’re up for giving it a go! This week we also gave you info on where you can send your groom for some advice and pre wedding help. 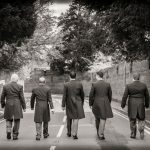 Those husbands to be struggling with all this wedding malarky have got help and advice from the male experts over at Staggered. It’s a blog totally dedicated to getting the man in your life on the right road to wedded bliss. If you haven’t already get him over there immediately! Have you entered our Wedding Planning Workshop Competition yet? If you don’t know where to start or are feeling a bit panicky about everything you need to do don’t panic we’ll show you how to turn your wedding vision into a reality. At our workshop you’ll learn how to break down the planning stages so nothing gets on top of you, set your budget so costs don’t spiral out of control, discover your own wedding style and help you find the best suppliers for what you need. You’ll also learn how you can get everything done in time with an easy to follow schedule. 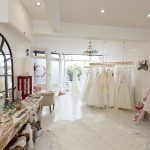 You’ll leave the workshop feeling calm, excited and ready to plan the wedding you want. All you need to do to win your place at one of our workshops is email hello@theweddingdolls.co.uk and tell us your name, the date of your wedding (if you have one yet!) and why you feel you need some wedding planning help. Lot’s of brides really want to lose a few pounds before their wedding and if you’re going to stress about it then you might as well do something about it. At the Wedding Dolls every time we talk about the losing weight issue we never finish the conversation as one of us has usually left for the sweet shop but now we’ve found an answer that might actually be quite fun! A class that is challenging but accessible to all fitness levels, rewarding and gives enormous satisfaction, helps align your whole body and decompress your spine, effective exercise for the mind and body……and wait for it MAKES YOU SMILE. It can’t be true I hear you cry but apparently is it and you’ll be doing it upside down – did I mention that? Anti Gravity Yoga is a fitness regime designed to increase your overall health and physical agility whilst having fun swinging about in an AntiGravity Hammock. 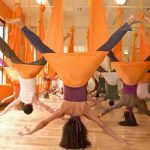 The technique was originally created by gymnasts but by adding elements of dance, pilates and calisthenics, AntiGravity has created a complete workout to get you in shape, all without having to get your trainers dirty. I just hope my bra is up to the challenge. Find a class in Kent with Heavenly Fitness. If you’ve tried anything interesting in the pursuit of a smaller size wedding dress then we’d love to hear about it! This week sees my last few days of training before I take on the Paddock Wood Half Marathon. Back in January I did a post about getting wedding fit and since then I’ve been taking my own advice. The start of this fitness regime was when I signed up for the MoonWalk and realised I only had 5 months to get ready to walk 26.2 miles around London overnight. With a bad back and having avoided any major fitness activity since my little girl was born three years ago I panicked. 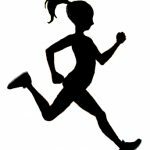 It was enough to get me started on a training programme which included running. Since then I’ve literally not stopped and in what can only be described as a small miracle, I actually really enjoy it, something I thought I would never say! Fitting running into my life has made a big difference to how I feel. As well as the physical benefits (include muscle tone that I never thought possible) it’s just fantastic for reducing stress and having a bit of ‘me’ time. Running gives you time to clear out the cobwebs and really think about what you want to achieve, whether it’s simply your to do list for the next few days or longer term goals, like planning a wedding or running a business! I have always enjoyed sport but never really stuck to anything and certainly not got any good at it. This time however I won’t be hanging up my running shoes after a few weeks, but will keep on running. If you have taken up the challenge of getting fit for your wedding, or for any other big event in your life, then let us know how you are getting on and any advice you can share on sticking to your fitness goals and actually enjoying it! Ushers: Let the Battle Begin! 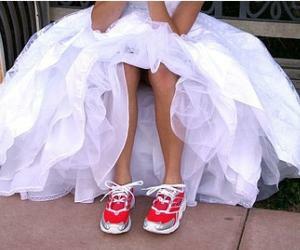 Getting in shape for your wedding is one of the best motivators. EVER. 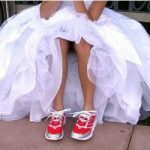 The thought of squeezing into your wedding dress and having all eyes on you for the day is enough to see brides joining a gym before you can say “you need a pair of trainers”. But a gym membership can be expensive and actually going is practically impossible for most of us. This year though you won’t be alone as the Wedding Dolls are getting down and shaping up. We have signed up for the Moonwalk in May so we will be dragging ourselves (I mean briskly walking) 26.2 miles around the mean streets of London. Alcohol is strictly forbidden so we are going to have to do it the traditional way and actually get fit, minus the gym membership. Here’s how we are going to do it. 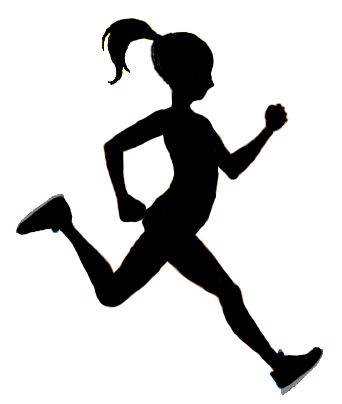 Get your heart pumping and improve your muscle strength by taking up running. The local parks are a great place to start – just make sure you have proper running shoes. The Wedding Dolls friend and fitness gal, Mina Lawrence, took up running in July and can now run over 10k in under an hour. Mina says ‘running is just fantastic if you have a busy life. You can fit it in when convenient and it costs next to nothing – you can also start slowly and build up as you go – I never thought I could get this fit and can’t ever imagine not running now”. If you don’t want to run on your own join a local group, like Sarah’s Runners or get a Bridesmaid involved for added motivation! Yes we all know that swimming is probably the best thing for a complete body workout but we just find it dull dull dull. However for a more interesting splash about, during the summer months head to the Serpentine Lido and Paddling Pool, Hyde Park. It’s just the ticket for topping up the tan whilst doing those lengths. Best of all you are a stone’s throw from some fantastic bars and restaurants for a post swim snack (just saying). The phrase pole dancing is usually associated with the Stag do, but this form of fitness has become huge over the last few years. 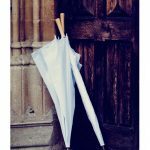 Lots of our brides are raving about it so we spoke to Emma of Pussycat Poles to find out why more of us then ever are giving it a go. She says “brides just seem to love pole dancing. It’s such a great form of exercise for toning up the whole body and having fun at the same time – it completely takes the stress out of an exercise routine. Lots of brides say their confidence increases as well as their fitness levels and they usually end up bringing friends to a session as part of their hen do”. Anything with the words fun and toning up in the same sentence is fine by us. From ballet to ballroom there’s something for everyone with dancing. Zumba is the latest craze to hit the UK and for this one we have mixed reviews. One of us (and I’m not saying which) can’t keep up and jumps around like a complete idiot whilst the other has rhythm and can shake their booty perfectly. Stomach muscles were aching the next day, which would have been from the howling with laughter, but it has to be said that with a mix of fast beats, loud music and quick dance moves you’ll be feeling the Zumba heat in no time. If you prefer to leap about in the comfort of your own home then why not do it with a celeb or two and their annual offering of fitness DVD’s. Our favourite is Davina McCall’s, Davina Fit. The easy to follow exercises leave you feeling like you’ve had a great workout in half the time it takes to get to the gym and back. You can rotate the routines so you don’t get bored doing the same thing. Fabulous results if you can stick to working out three times a week. Davina also has a new DVD Ultimate Target out for 2012 so if you’ve tried it and like it let us know. Sir Yes Sir. Sound of 1 2 sound of 3 4. Yes if you really need someone to shout at you and like the idea of digging out your combats then this might be just the thing. Natasha Harding, journalist and owner of The Village Yoga, took up the challenge of the five-day boot camp and told us all about it. “A typical day’s training with GI Jane’s in Kent, meant getting up at 6am, followed by pretty much non-stop, gruelling exercise on a teeny calorie allowance of 1,200. We did a variety of exercises including hikes, circuits, salsa dancing, netball and paint balling. At the end of the agonising five days, the group were rewarded with a delicious dinner and a well deserved glass of champagne. However the best reward was at our final assessment and weigh-in. I was delighted to discover I had lost just under 5lb and a total of five inches. It was incredibly hard, but I would definitely go back if I needed to kick-start my fitness levels”. So there you have it – it won’t be easy and sometimes it will be downright hard but at least its fun, healthy and all in a good cause. What are you still reading this for? GO GO GO.